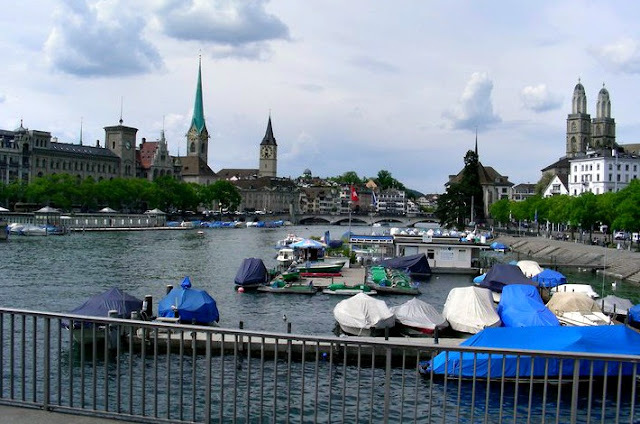 Apart from being a prominent stop on the business traveller’s map, Zurich is also an immensely popular vacation destination that offers many sightseeing and shopping opportunities for leisure tourists as well. The Limmat River, which flows from the northern end of Lake Zurich, traverses the city of Zurich and divides the city into two halves. The Left Bank or the West Bank of Zurich is the commercial heart of the city. Bahnhofplatz or the main Zurich Railway Station is located here, which is the centre of all railway connections in Zurich. You will also find here the main downtown street, Bahnhofstrasse, where the city’s main banks, shops, art galleries, restaurants and hotels are located. I can see that this is the most expensive and exclusive avenue in the city. The East or Right Bank of the River is home to the Altstadt or the old town of Zurich. This area is home to the ancient guildhalls of Zurich and the Rathaus. The Old Town Hall is where visitors experience a bit of local history. The slender blue spire of Fraumünster dominates Zurich’s skyline as it stands atop the church in the old town. It is known for its large, spectacular organ though its main attraction consists of five beautiful stained glass windows that still thrills tourists from around the world. The museum is one of the most popular attractions in Zurich housed in a castle-like building, showcasing the evolution of Swiss life from the Stone Age to modern times. The permanent collection at the museum offers display of artifacts that provide a better understanding of Swiss life for visitors. My Swiss friends told me that Sprüngli is the most popular, if not the best coffee and pastry shop in Switzerland. They also told me to taste it and be the judge. I went to the main store located at Bahnhofstrasse and Paradeplatz and have seen how people enjoy the place as it was full house that I almost did not have a space to sit. It offers many delicious varieties of truffles, chocolates, pralines, marzipan as well as its specialty, rich dark hot chocolate. Yes, the store is popular for early morning breakfast and lunch-spot in Zurich. If you love chocolate then the Confiserie Sprüngli is one store that you can’t afford to miss on your vacation to Zurich. This is another good place not to be missed if you are on a vacation in Zurich with your children. 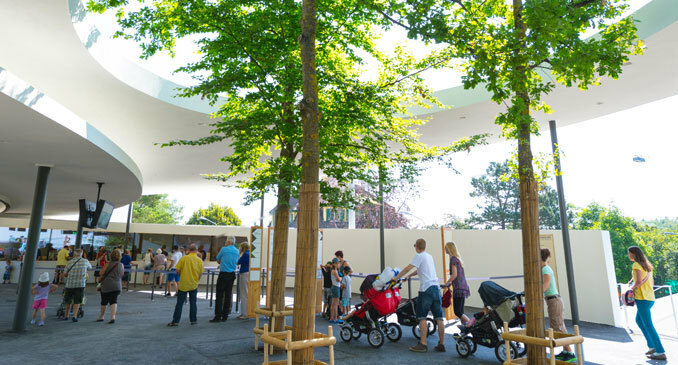 Zurich’s zoological park is dedicated to conservation of the animal species and the environment. The Zurich Zoo is home to hundreds of different species of animals including several endangered species like the red pandas and the snow leopards. For the benefit of those who are in Zurich visiting the Zoo anytime soon, a link to their website is provided. Zurich is accessed through Zurich International Airport located 12 kilometres to the north of Zurich city. The airport welcomes a whole host of low cost and legacy carriers from around the globe and is easily connected to the city centre via the Swiss Rail service. Other modes of transport that serve Zurich airport include trams, taxis, public buses and hotel shuttle buses. Using taxis and other public transport in Zurich can be expensive so buying a Zurich Card is recommended. This ticket is for visitors who wish to spend one or three days in Zurich and is also valid between the airport and the city. This card can be bought for validity periods of 24 to 72 hours. For information on where to buy this card, you may check Zurich Card site. Just make sure you validate your tickets before taking your first journey at the automatic machines or at the orange ticket validator on the platform. Visitors on holiday or business trip to Zurich don’t usually hire a car for their stay since the city is quite congested and parking is quite expensive. However, if you need to visit areas around Zurich, then renting a car is advisable. Zurich has one of the prettiest shopping districts like the one in Bahnhofstrasse, which is populated with many upscale and designer good stores. Oddly enough, for such an up market shopping location, the Bahnhofstrasse even has a flea market called Bürkliplatz, which is located at its southern end. Yet another popular shopping district in Zurich is Niederdorf; located on the East Bank of this city and a pedestrianised zone during the day that is populated with many Swiss boutiques and antique stores. If you have not visited Switzerland, it is a must that you include Zurich in your itinerary. Other tourist attractions that you may consider are: Landesmuseum, Grossmünster, Lake Promenade, Lindenhof and Schanzengraben, St. Peter's Church with Europe's largest clock face, residential areas and the university district. For a comprehensive list of tips and advice on the beautiful and interesting places in Switzerland, read before you go, the 100 Best Things to do in Switzerland only at Jen Reviews. 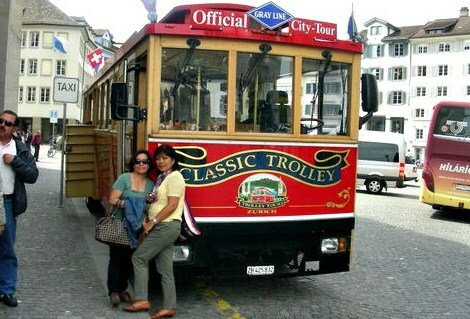 And yes, it is worth experiencing the sights of Zurich with the unique Classic Trolley. Thank you for the precious moments and the beautiful nice memories. Thanks Julz for your kind words. Our stay in Switzerland and Zurich in particular is a dream come true. Whenever we think of Switzerland, your name and you as a person is always in our heart. Thank you for making our stay in Zurich very memorable.